For a long time I’ve been wanting to see the panda bears up close. 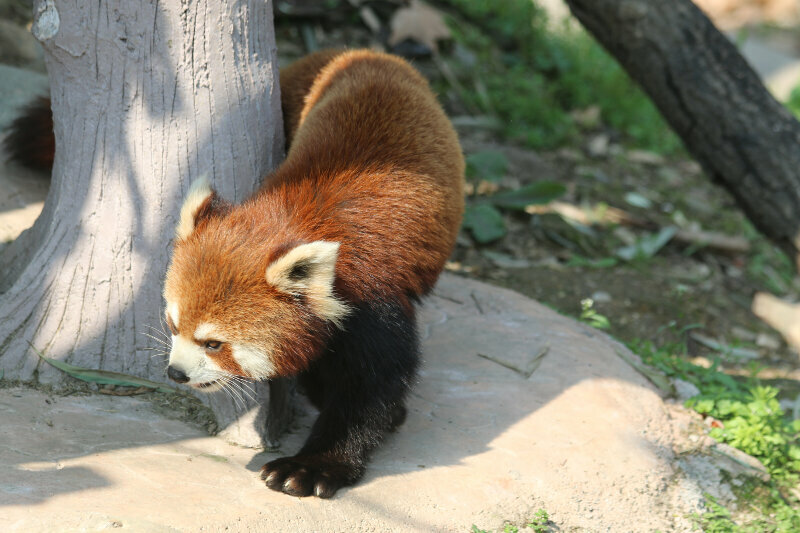 While there a few spread in zoos around the world (I’ve seen the two in Singapore), you have to go to Chengdu if you want to see a bunch. 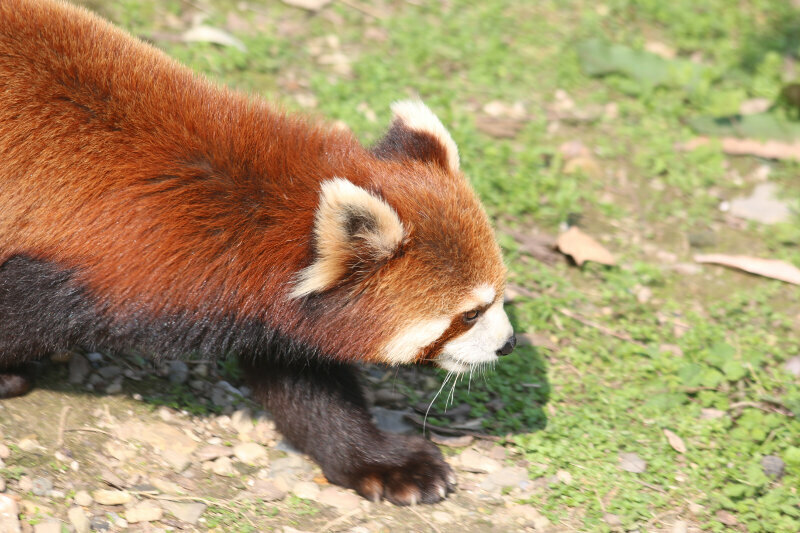 It is a fascinating animal and unfortunately an endangered species. 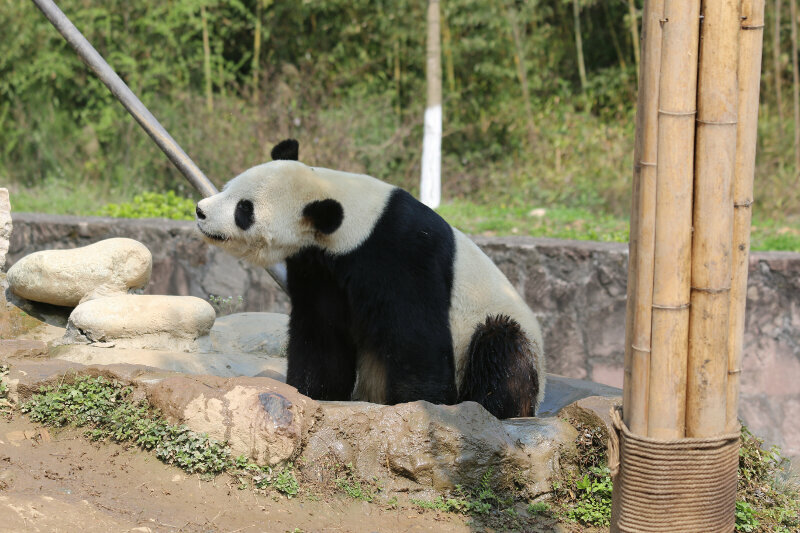 While there’s the large, famous research base on the outskirts of Chengdu, I had read on another blog about a volunteer program at the China Conservation and Research Center for the Great Panda – Dujiangyan Base. 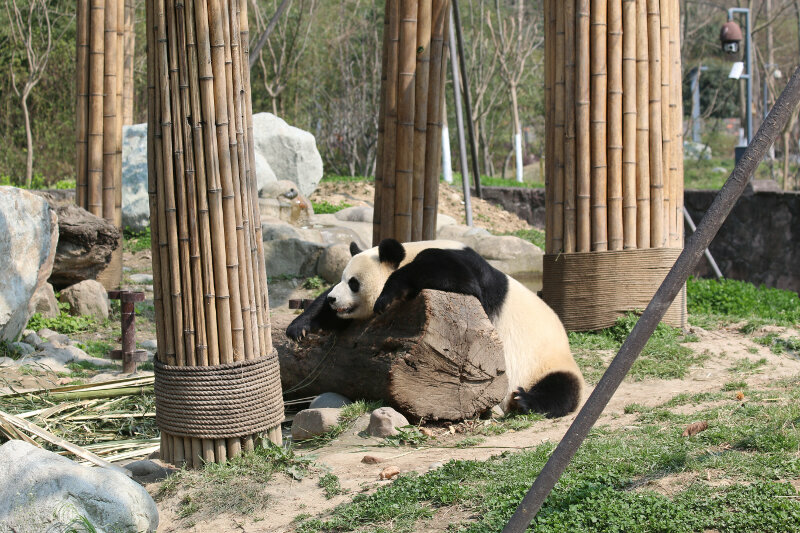 For around EUR100 per person, you get to spend a day learning about the pandas and get up close. Dujiangyan is quite a bit outside Chengdu, probably a 90mins drive. We decided to take public transport for the experience. I think public transport is always a great opportunity to get to know a country and its people better. 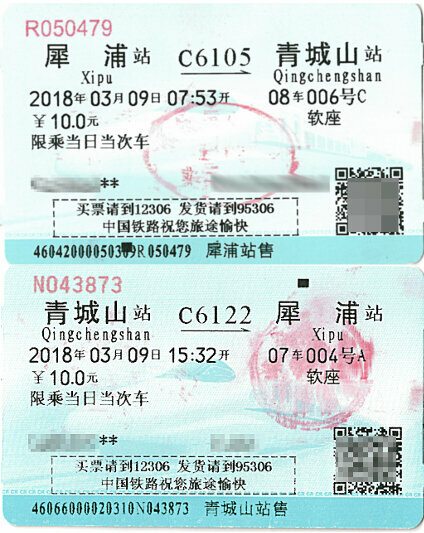 Already the day before we had made the trip out to Xipu Railway station (accessible by metro line 2) in Chengdu’s north to buy train tickets. Apparently they sell out. 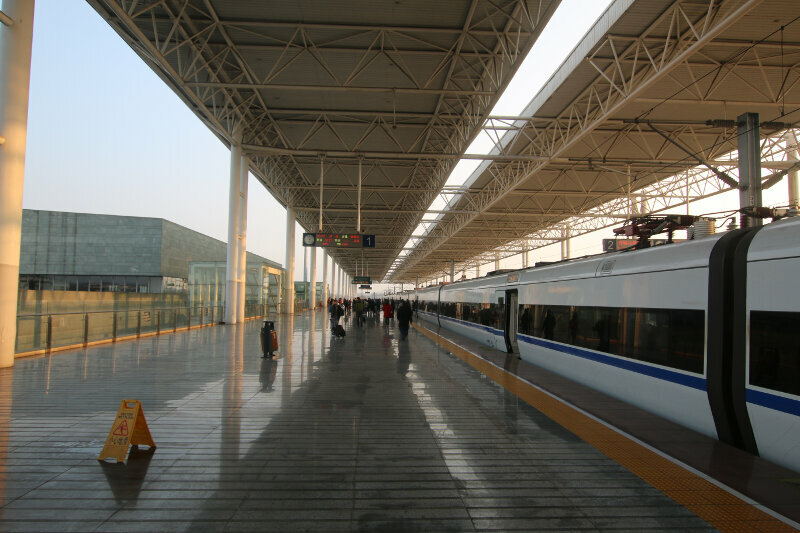 For RMB10 per person (EUR1.30), we took the 07:53 train the next day to Qingchengshan. 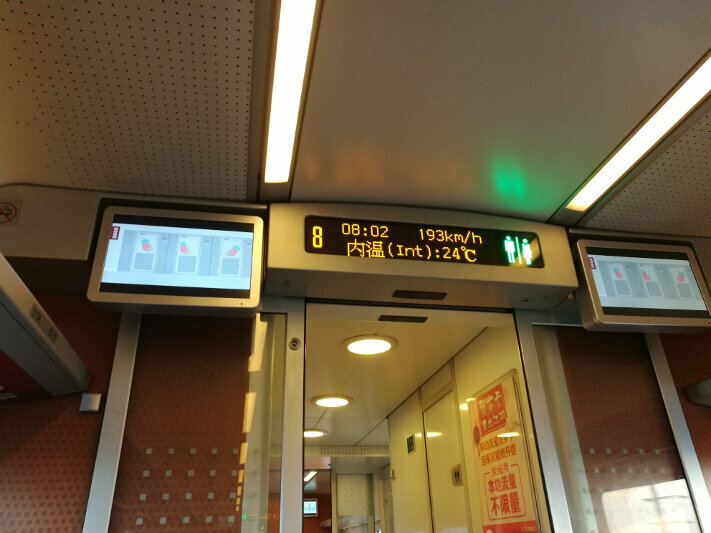 The modern train went up to nearly 200km/h and took as in less than half an hour to our destination. From there we took a bus for a short ride to the Panda Base, getting there just before 9 and in time for the start of the program. 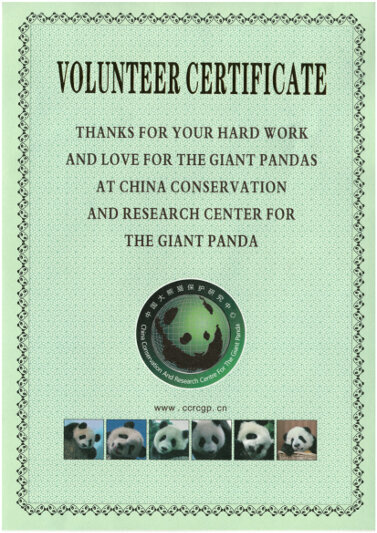 Our volunteering program starting with cleaning the panda cages. Step 1: scoop up all panda poop. These guys poop a lot. 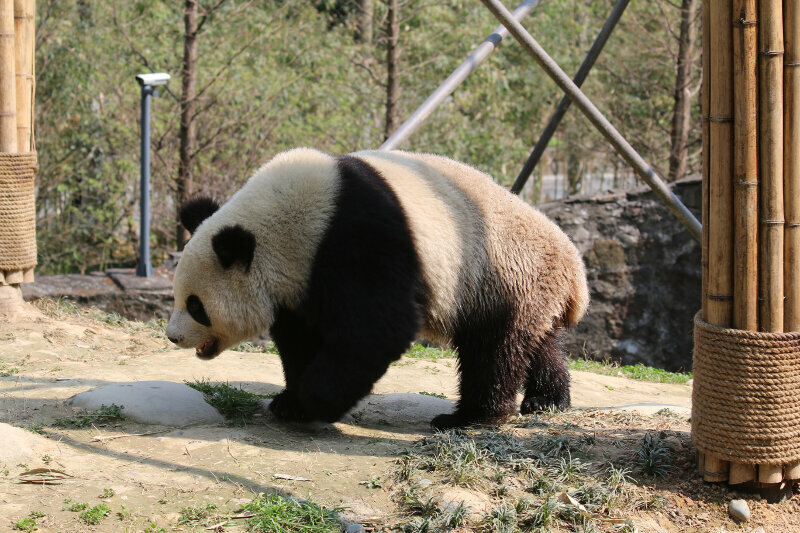 Apparently an adult eats around 20kg of bamboo a day (and that’s almost their entire diat) and poops 10kg. Solid. 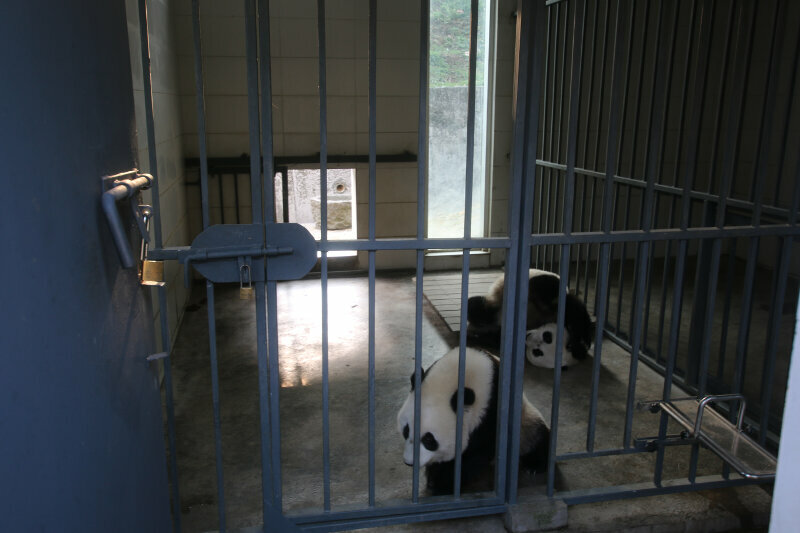 Step 2: scrub the panda cages and spray disinfectant. Step 3: replenish bamboo supplies. Employee of the year award goes to the person at the base who figured out that tourists are willing to pay money for this. The Chinese tourists visiting the base had their laughs. 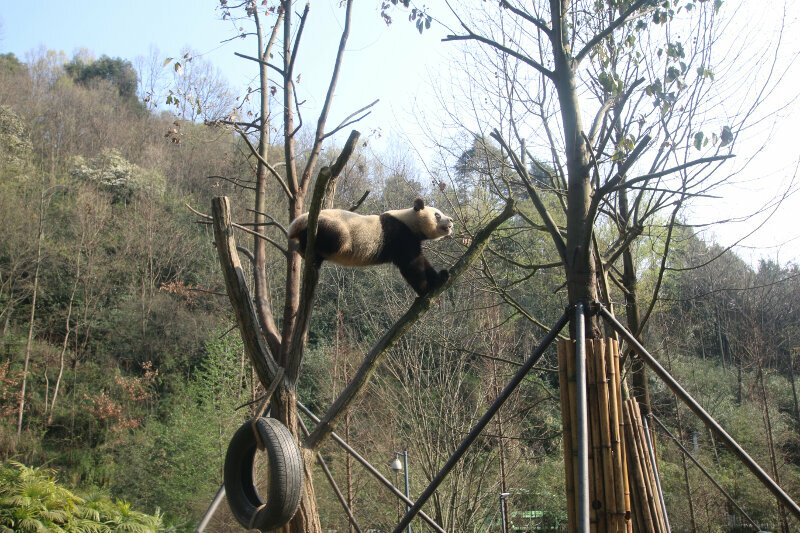 While we were doing this, the pandas were observing us. 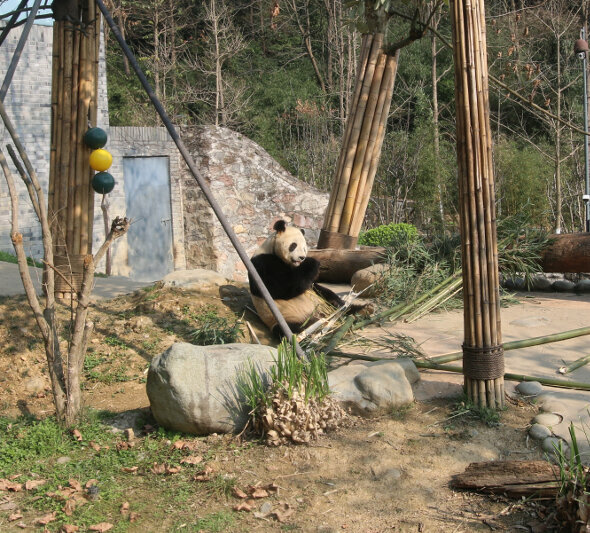 One “panda house” we couldn’t clean because the bear did not want to come down from his tree, not allowing us to enter his area. This fella wouldn’t allow us to clean his “kingdom”. He was busy climbing trees. After some downtime were we got to walk around the base, we got to my favorite part. Feeding the pandas! Of course, bamboo. 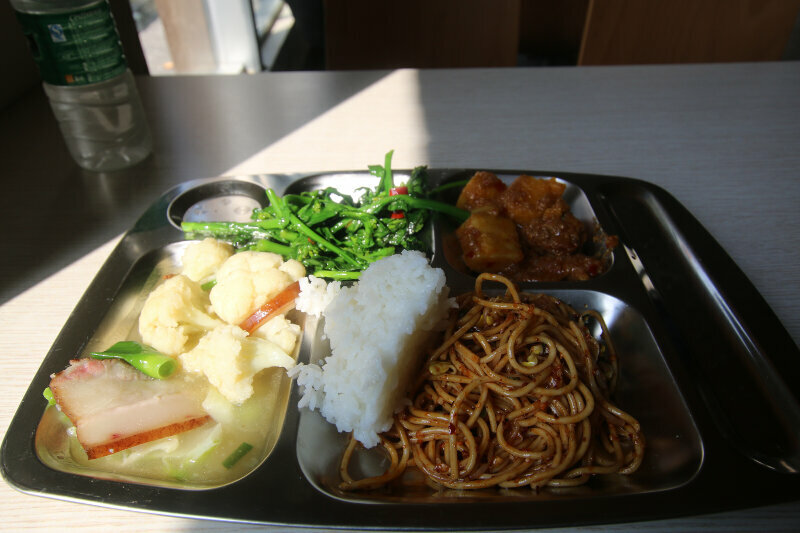 For lunch, the staff took us to their canteen, which was very tasty. 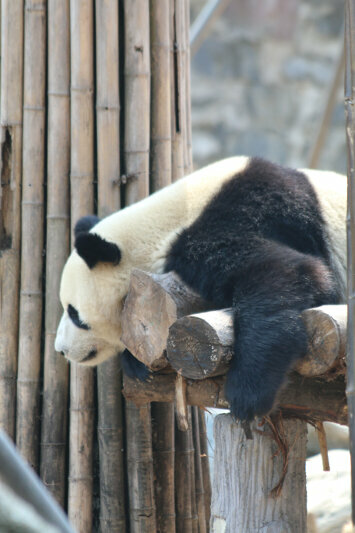 This was followed by some more free time, followed by a documentary about efforts to reintegrate pandas into the wild. 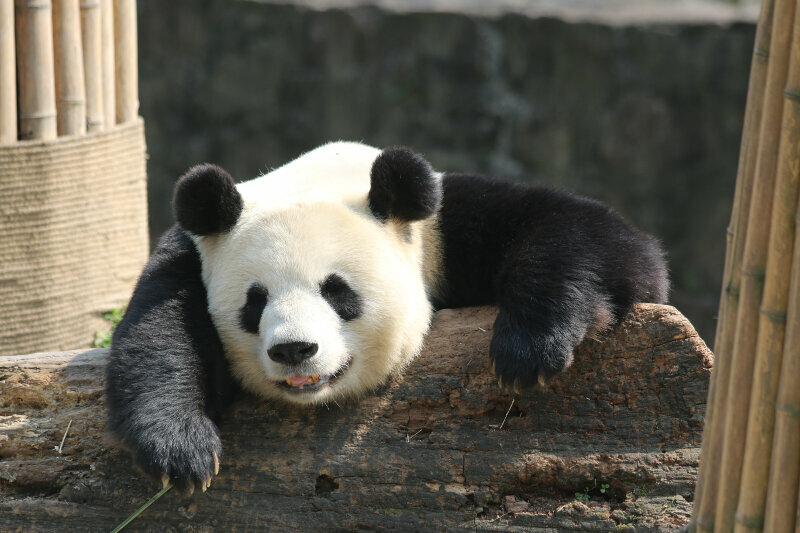 If I remember correctly, there are roughly an estimated 1’200 pandas left in the wild and 300 in captivity. 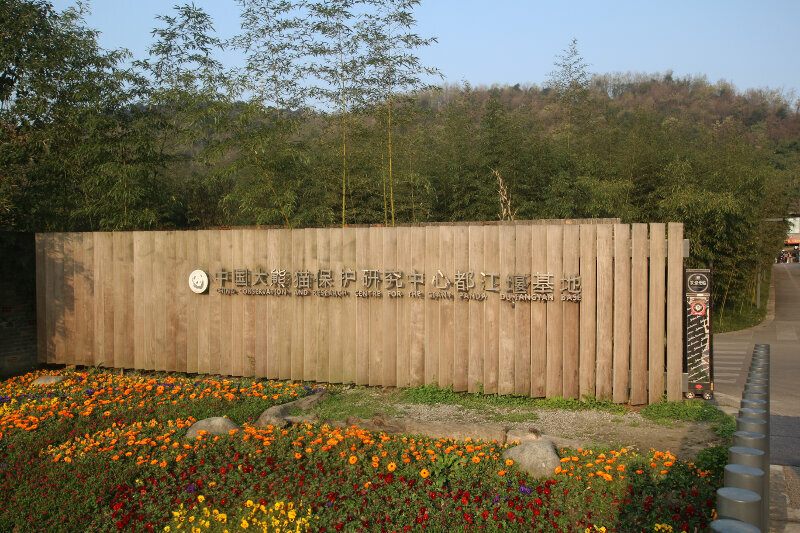 The Dujiangyan Base houses 30 of them. 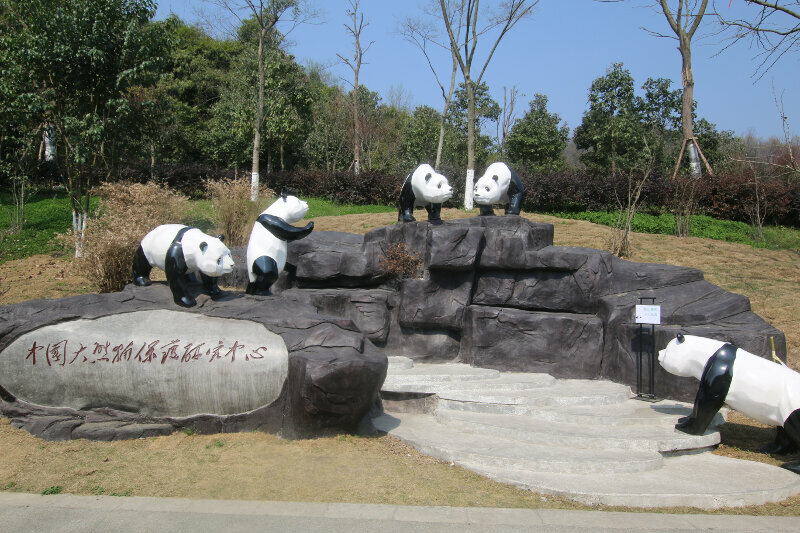 We skipped the last part of the day, baking panda cakes (which pandas are fed in addition to bamboo) and instead started our way back to Qingchengshan and then Xipu in Chengdu. Getting up close with these unique animals is a very special opportunity that I can only recommend. 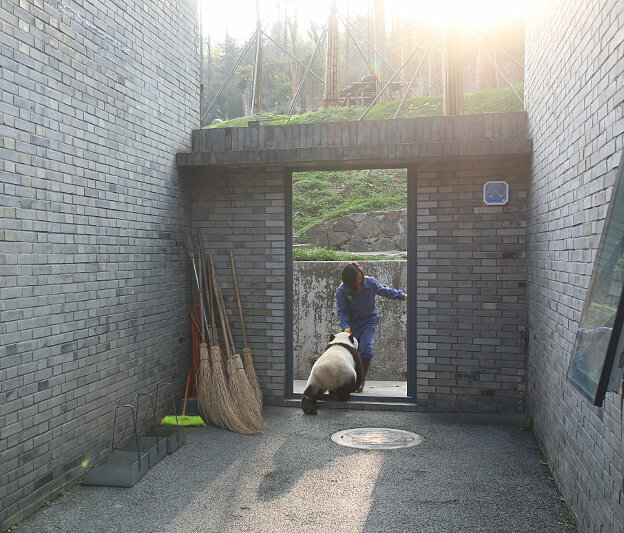 I don’t know whether there are other places besides Dujiangyan where one can get that close. When we were there, there was a total of around 10 volunteers and I suspect it is only bound to become more popular. 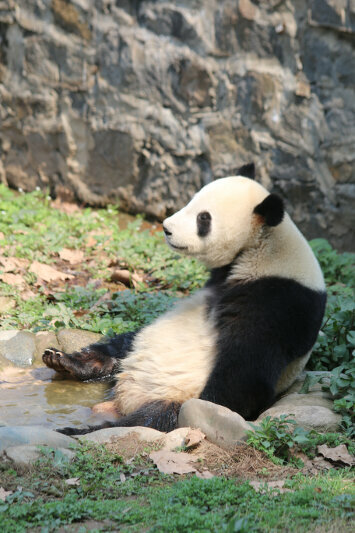 E-mail them at pandaeducatecenter@163.com if you want to go.